I have lost someone I love the most in this date, couple of years ago. The mourn has passed while the love is still in this heart. But this year, I have to welcome someone that I know I will love.. 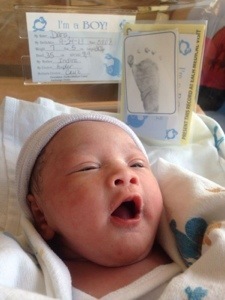 Welcome to the world, Baby KRC! Congratulation for Bang Dod & Kak Ira..
Posted in ..as a Daughter, ..as a Sister, Living Life. Bookmark the permalink.